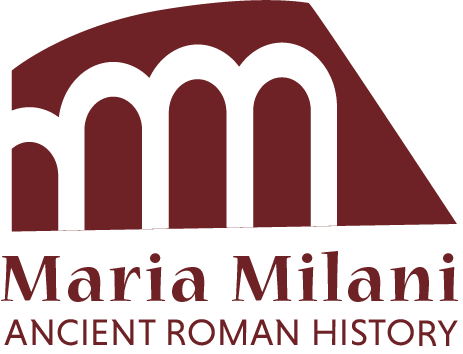 mariamilani Ancient Rome Ancient Rome and social evolution: What can we learn about our future? Can ancient Rome teach us something of social evolution? 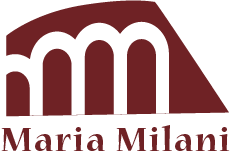 This short article is little more than a structured collection of thoughts regarding ancient Rome and social evolution: How we can use ancient Rome as a reference for the understanding of social evolution? The study of the evolution of societies is a complex thing. Lying somewhere between philosophy and science and prone to multiple contrasting theories. A quick glimpse at Wikipedia’s article on sociocultural evolution is a good starting point. It reminds us that the earliest meaningful attempts began in the 18th century. A single continuous line of social evolution. From Paleolithic through to the future. Multiple mini-lines of localised evolution, per society. The further thought would be that perhaps social evolution may follow some form of cyclic development rather than linear. Different models suitable for different situations. Even these few very logical statements of possibility give rise to some fresh questions which in themselves are paths to a deeper understanding of how societies might evolve. 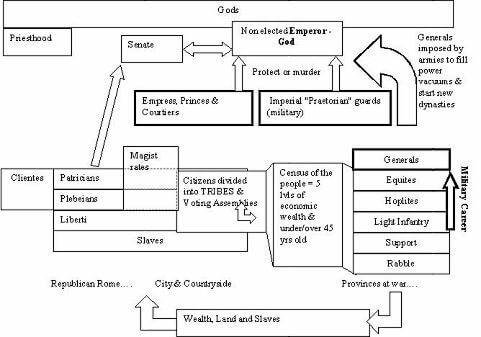 The images below give a simplified view of how ancient Roman social structure seems to have changed developed. It does not address (though it would be interesting) the gradual division of labour and evolution of ancient Roman jobs. Religion as a means of understanding and finding new answers to unfathomable situations. These need not only be of scientific nature but also related to personal social conditions. Social divide, to the extreme of the existence of slavery. Morality and rights of the individual. Language, Arts and crafts seem to become an expression of a society’s evolution. 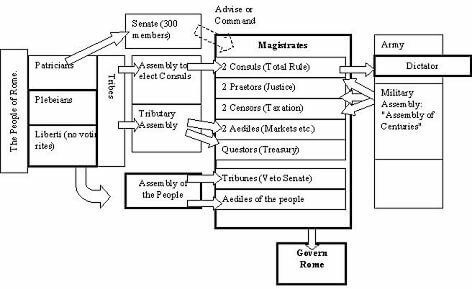 Even with these few notions, we can consider the different types of social model available, taking ancient Rome’s society as an example (see images below). What is less easy to consider is how a society changes from one model to another, what triggers such change, and the subsequent tensions generated. An amazing aspect of ancient Rome was the relative decline of education and art as the empire’s economy hit harder times. This suggests that individual aspects of social evolution are not necessarily linear in progress. If it were, education and learning would simply have continued to increase. We may have developed ancient Roman inventions to discover the steam engine rather sooner! The likes of Gibbons placed a finger on the factor or religion and the growing sense of equality of all individuals, slaves and masters alike, as a determining factor in the fall of the ancient Roman model. However, we should consider how this was coming into full force at about at a time when the Empire was already meeting its economic troubles. So, can Ancient Rome teach us about social evolution? The concerning evolution of ancient Rome’s society was from Tribal and hereditary kingdom to what was a seemingly virtuous Republican approach and finally to an empire, at times hereditary, at times including virtuous leaders. Eventually marked by dictatorial military rule. The question is what might have gone wrong with republican, democratic politics, as to allow that third age of ancient Roman social structure and rule. What seems evident is that population size, economic productivity, and communications must have had their fair role to play. The population of Rome reached unprecedented heights. The expanse of the Roman Empire reached an extent as to require its split into two halves. William Ivins drew interesting attention to visual (printed) communication, essential for technological and economic development. Harold Innis suggested that different societies are shaped by their modes of communications, be they of oral or written, spacial or temporal in nature. McLuhan picked up from both that the mode of communication actually shapes the message and the individuals in society (see the Gutenberg Galaxy). Indeed we can say automation and artificial intelligence are akin to the effect of slavery in ancient Roman times. Together with social media and hyper-communication these elements seem to come hand-in-hand with unprecedented population growth. In conclusion, as a global society, we continue to progress in the 21st century with respect to the 20th and indeed the 19th century. The rights of individuals are increasingly respected, access to welfare seems to be above that available a century ago. But can that trajectory continue or is it destined to cycle in unexpected directions?